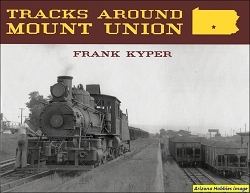 This new book by noted East Broad Top Railroad historian Frank Kyper tells about his experiences growing up around the last narrow gauge common carrier steam railroad east of the Rocky Mountains. Kyper writes about the EBT's final years as a coal and rock hauler in southern Pennsylvania and its rebirth as a historical railroad in the early 1960s. The book includes many rare photographs of the EBT's motive power, rolling stock and facilities in the twilight years of its operation. 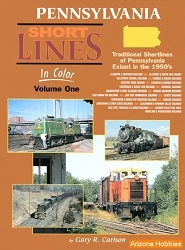 Also included are Kyper's firsthand accounts of the personalities that guided the EBT through its last years of coal hauling service, and the decision not to scrap the line after its shutdown in 1956 but, rather, to preserve its narrow-gauge charm for future generations to enjoy. This is a detailed account of how the EBT was initially brought back from the edge of extinction and first became a tourist hauler. Recent developments concerning the EBT make the author's review of this historic rail line's legacy all the more timely and important. South Platte Press, softcover, 112 pages, 8.5 x 11 x .25 in., 100+ B&W illustrations.